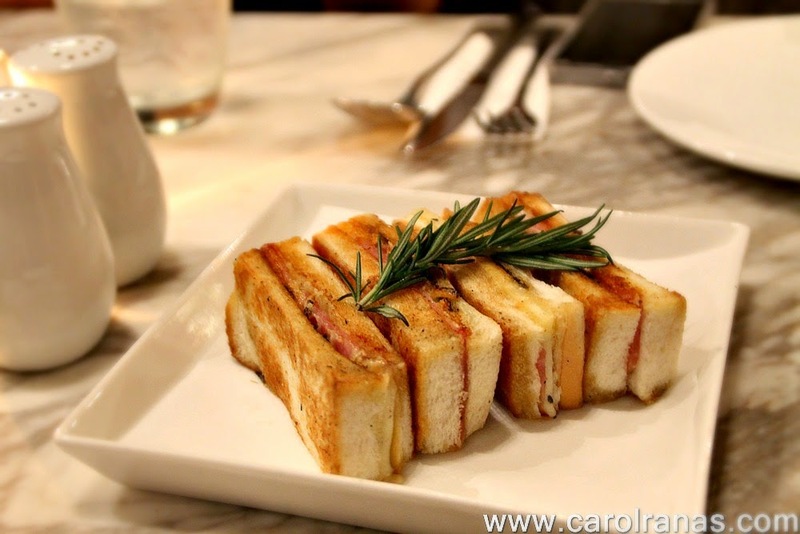 Black Bikini consists of Jamon Serrano and cheese sandwich with black truffle jam. What mad ethis sandwich special and tasty was the black truffle jam. It was the first thing that was served so we had it fresh from the oven. Yum! 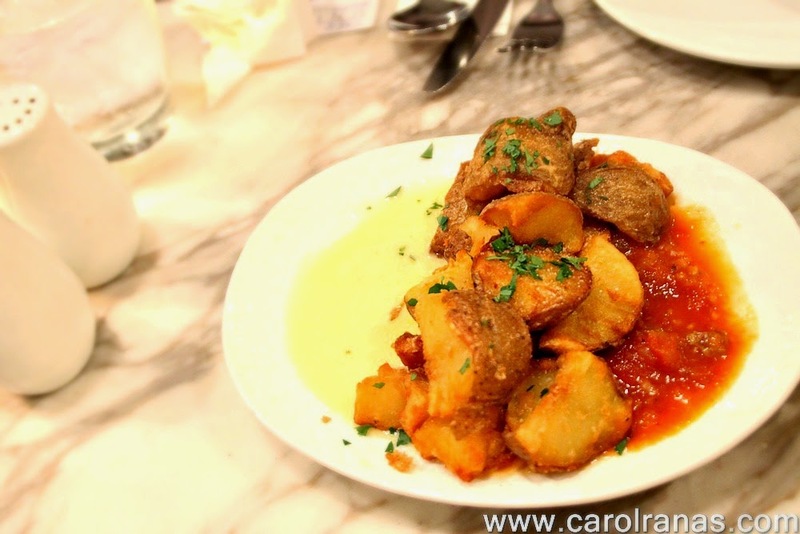 Patatas Bravas are roasted potatoes served with garlic aioli and spicy chipotle tomato sauce. I love mushrooms, so the Mixed Mushroom Dip was a hit for me. The presentation was also cute for the garlic toasts were stacked like jenga blocks. The Monte Cristo Benedict is just toasted ham and cheese sandwich topped with hollandaise sauce and poached egg served with chips as side. 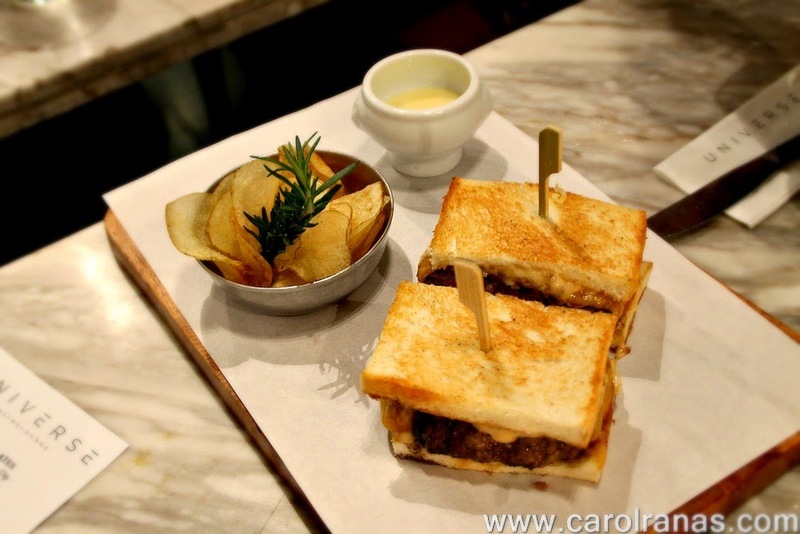 The Patty melt is made of grilled Angus beef patty, caramelized onions and American Cheese, also served with chips as side. The sandwich itself is filling for the grilled Angus beef patty were juicy. 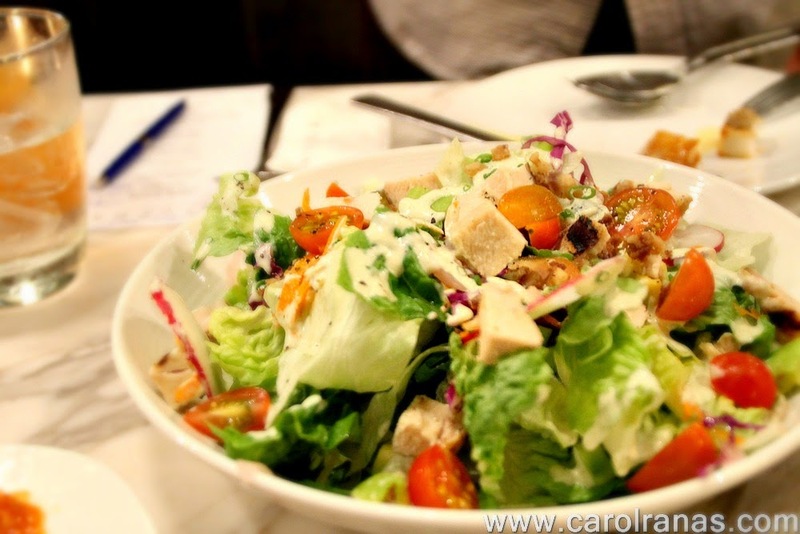 The Chicken Cobb Salad is another option for people on a restricted diet. It consists of greens mixed with blue cheese, bacon, ranch dressing and avocados. Avocados on salads sure was interesting. I might try to incorporate them in my own salads as well. 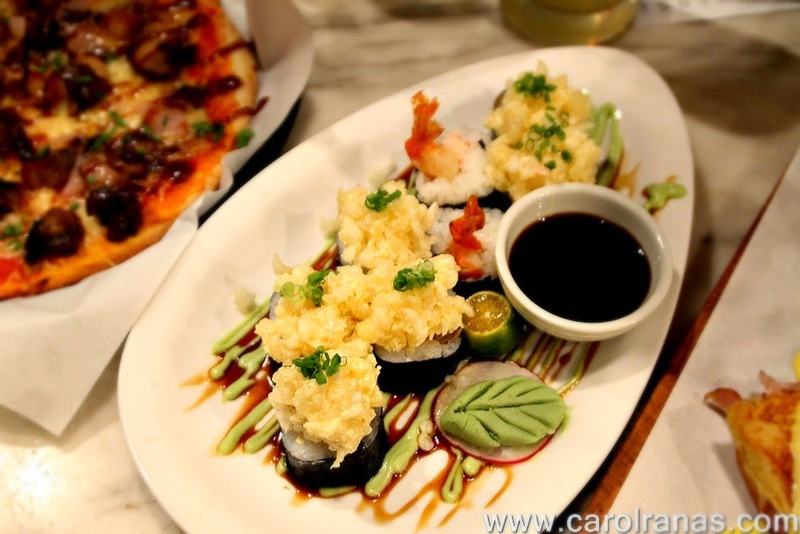 The roll consists of tempura shrimp, unagi, crab salad and tempura bits. I may not be a fan of eels on rolls, but I did enjoy munching on this because of the tempura bits. 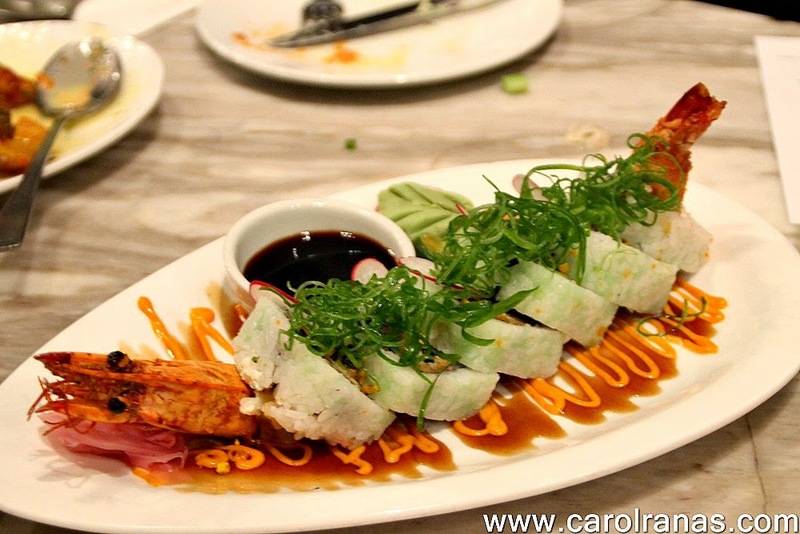 The Crunchy Caterpillar was so pretty that we were hesitant to try it at first. It consists of giant prawn furai, cream cheese and tobiko roe. 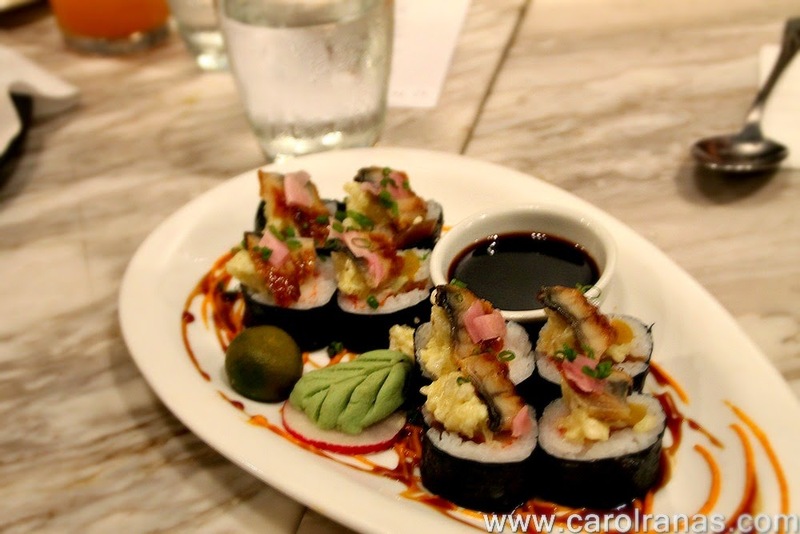 The Futo Wacky Roll was my fave among the three. It consists of tamago, oboro, unagi, kampyo and crunchy tempura salad.  This pizza is topped with chicken bits and pickled red onions drizzled in honey barbecue sauce. The ultimate savory pizza. I love that the crust is not so thin and the BBQ sauce complemented the chicken. The Italian Sausage Pizza is made of crumbled Italian sausage,roasted garlic and grilled onions. 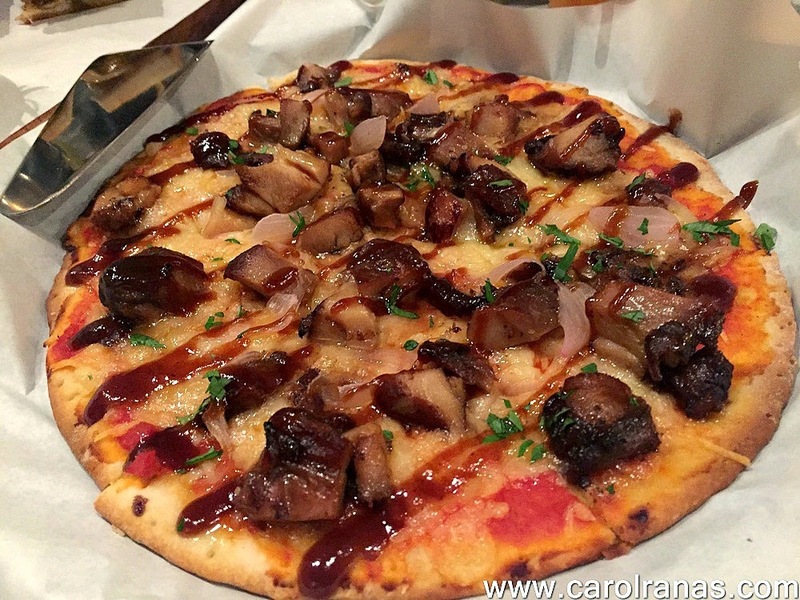 It somehow paled in comparison to the BBQ Chicken pizza in terms of its savory taste. The Bad Girl pizza definitely left an impression for me. 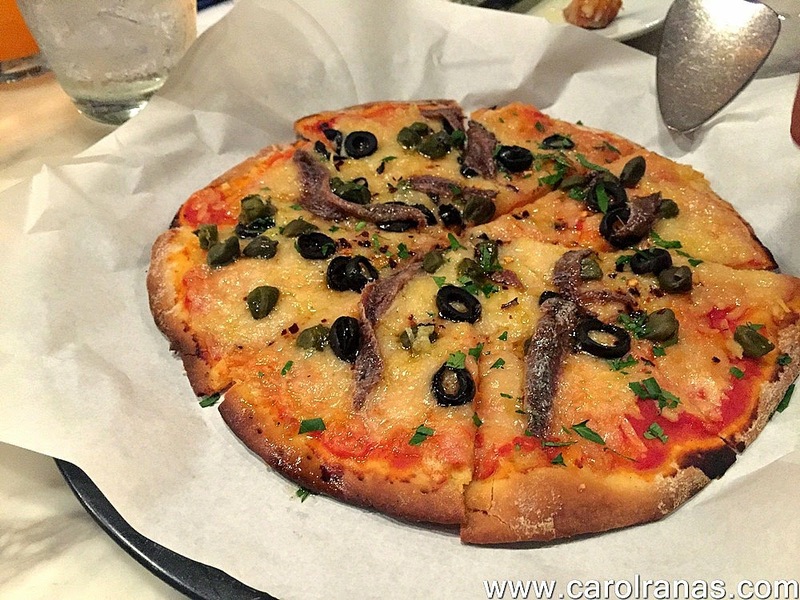 I was appalled by the strong tangy taste of anchovies, red pepper flakes, garlic and olives. It was one hell of a savory pizza that I had to drink a mouthful of water to tone down its taste. 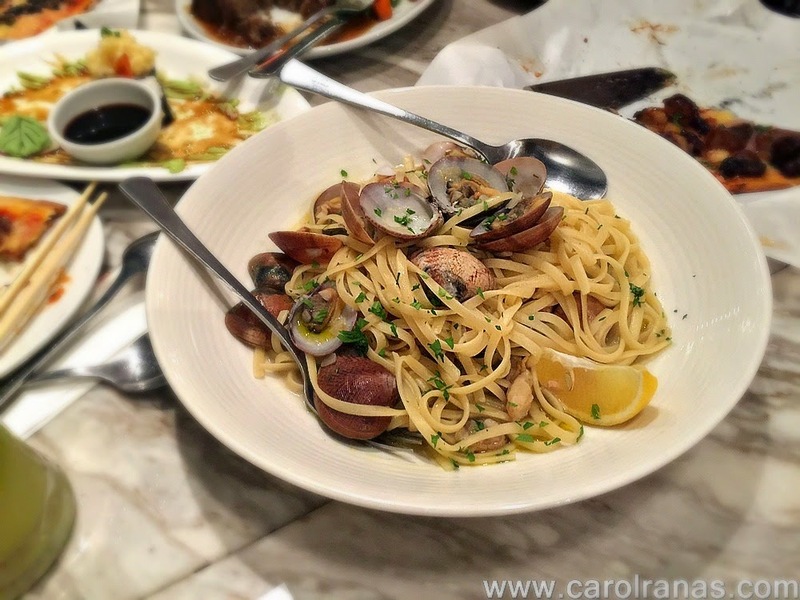 I love clams but the Linguine Vognole lacked some texture.I find it subdued in terms of taste. I was hoping for some hint of saltiness from the clams and something else, but my tastebuds found none. All the tasty things were mixed together in this superb pasta. 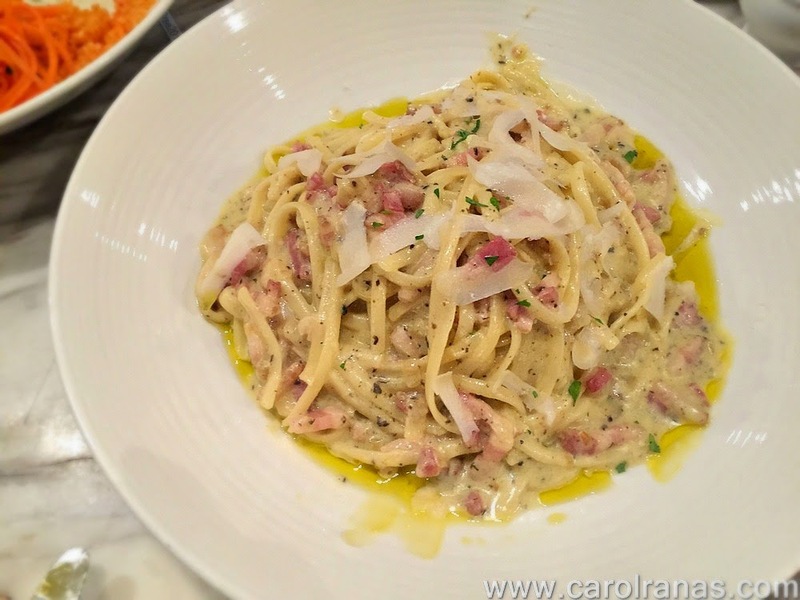 Bacon and creamy truffle sauce in the linguine pasta was so good. . 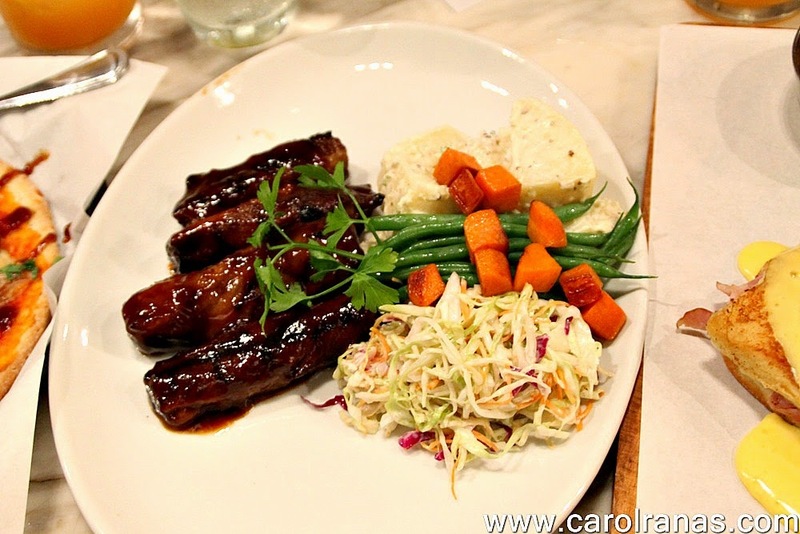 The Angus boneless beef riblets were as delectable as you can see in the picture. It was served with coleslaw and potato salad as side, but my Filipino palate wanted it with a cup of pipping hot rice. This home made meatloaf was not what I expected. I can compare it as a ground meat cake. The bed of meat topped with rich gravy was hearty. 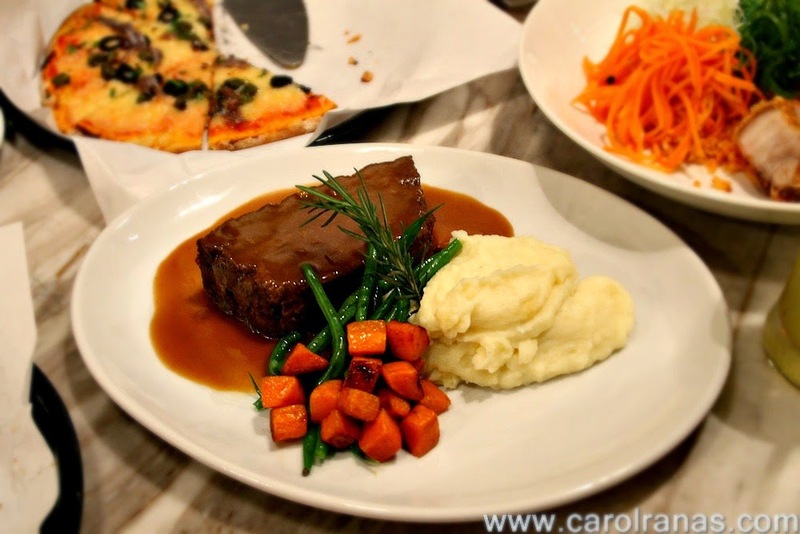 The mashed potatoes and garlic buttered green beans was a good side to the rich meatloaf. An of course, who doesn't love Bagnet? 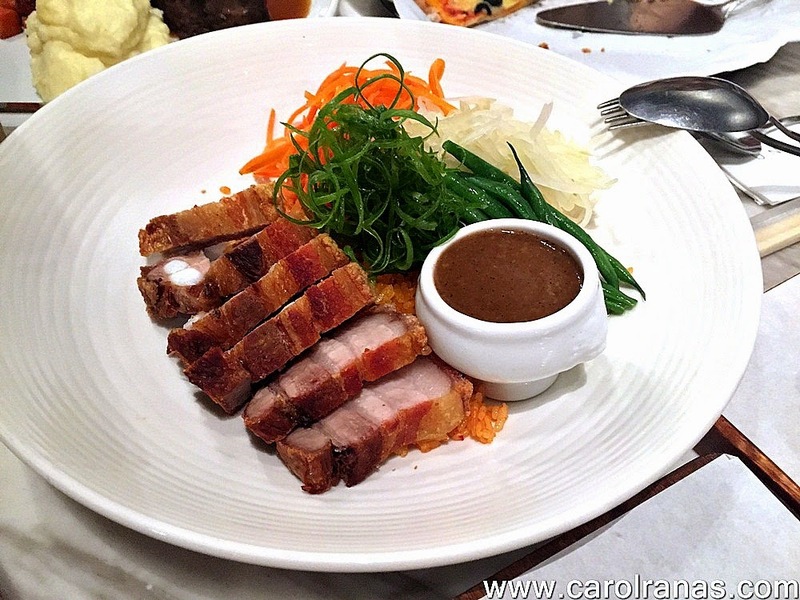 Those Crispy pork belly on top of spicy kimchi fried rice and spicy lechon gravy was delightful and definitely made my tummy happy. This is one of the dishes that diners normally order and I can see why. 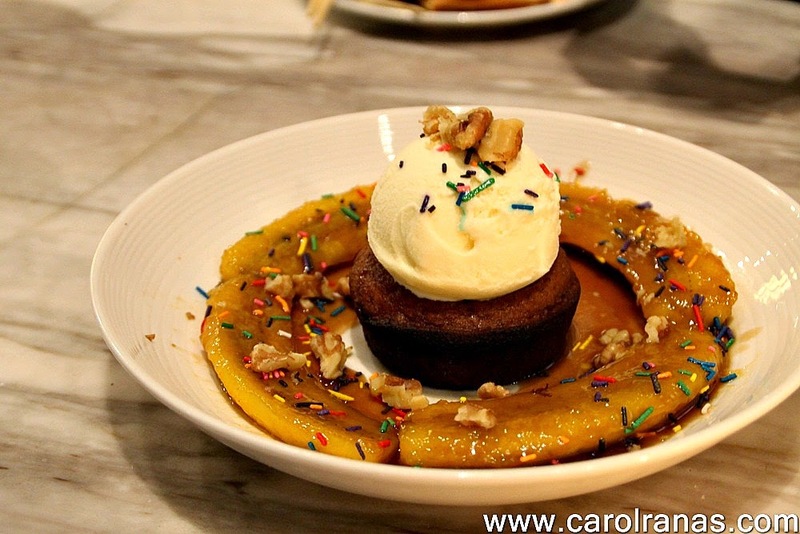 This dessert was simple but delectable. It's banana cupcake a la mode with banana slices on the side drizzled with caramel sauce and colorful candy sprinkles. 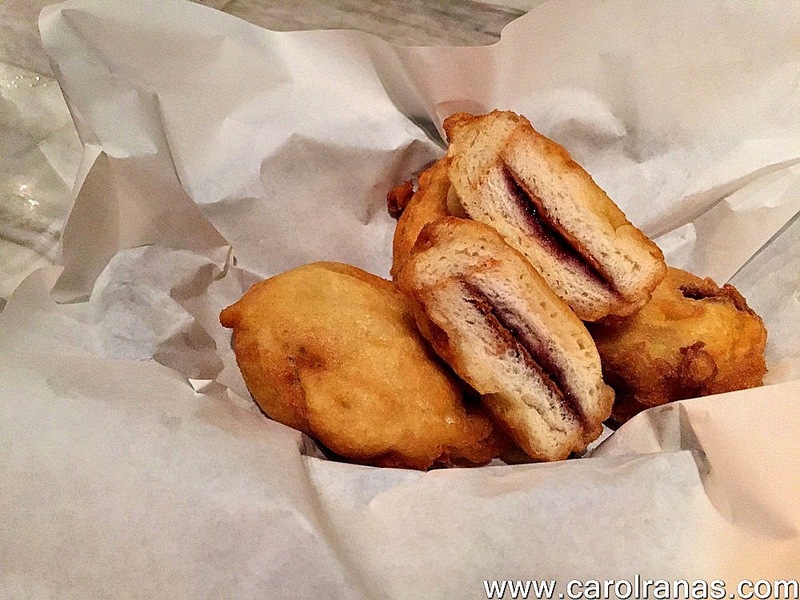 PB & J lovers rejoice for Universe has made an awesome dessert for you, deep fried peanut butter and jelly sandwich. I'm not a fan of PB & J so I can't say if it was a good PB & J or not. 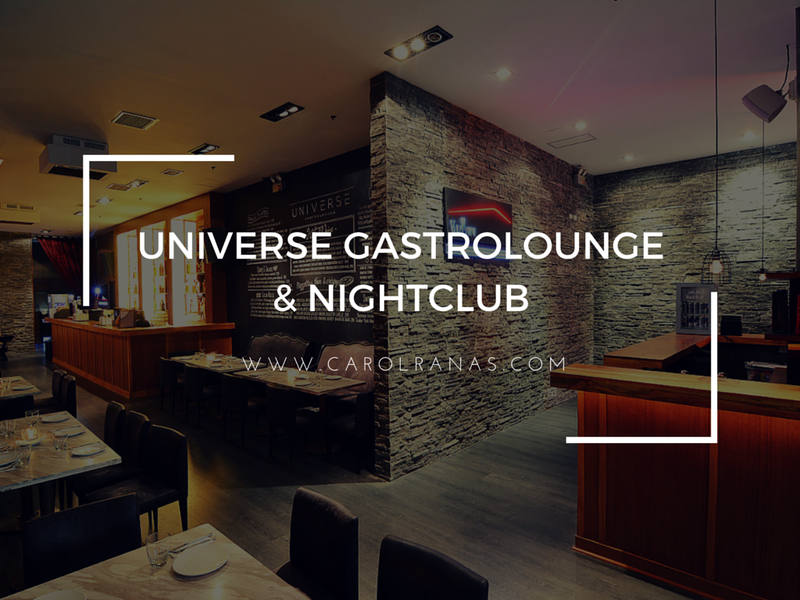 Overall, Universe Gastrolounge and Nightclub combines the concept of a party lounge and a good restaurant. 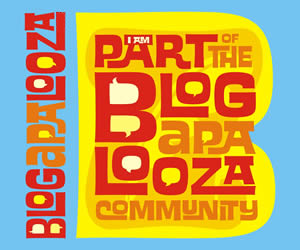 It is a perfect place to be eat, drink and be merry. 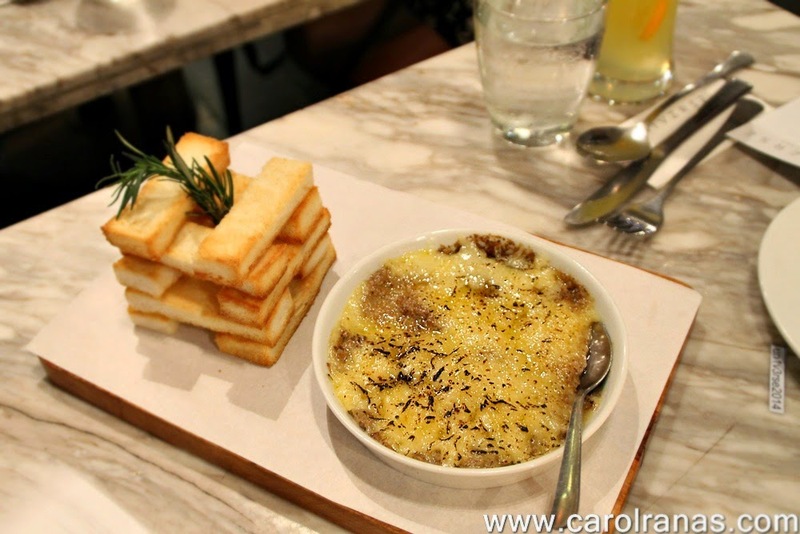 Bring your friends and bond over good food and drinks. After a few drinks, head over to the nightclub and dance your heart away. 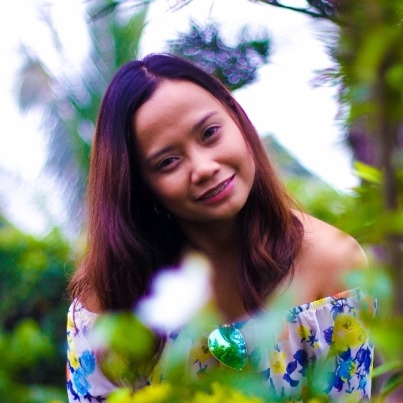 It is the perfect place to jump start your awesome weekend. Where you headin' this weekend?